Whilst the overall goal of the business may be a straightforward one, Sales and Marketing often have different objectives and therefore operate on different strategies. Marketing seek new sources of leads and create messages to build awareness and spark interest in the company’s products and services, while Sales devise and implement strategies for turning leads into customers. Alignment of their strategies creates a better understanding of each other’s missions, and allows them to work together better and bring in more sales – Marketing would know what Sales want from them in terms of the leads they want delivered to them and Sales would know what Marketing want them to accomplish. Sales and Marketing generally interact with buyers in different ways and so they each have a different understanding of their customers. Marketing have a fuller understanding of buyer behaviour within their industry, while sales have a more personal knowledge resulting from the greater level of buyer contact. Aligning Sales and Marketing can improve the level and range of knowledge held by both Sales and Marketing, making them better equipped to obtain customers. It is Sales’ job to close the deal, and possessing greater knowledge of the buyer’s past activities and interests allows for a more meaningful relationship and improves the likelihood of generating sales. Having the right content available ensures that prospects will be continued to be educated throughout the buying process. Irrelevant content and messages that don’t relate to the particular stage of the process the buyer is at are guaranteed to turn buyers off. With full Marketing and Sales alignment, their mutual and complete understanding of the buyer allows them to agree on the necessary messages and communicate with their buyer accordingly, sending only the most relevant and valuable material. Technology marketing sees a higher customer abandonment rate than most other industries – this is due to the greater investment required as well as the uncertainty and length involved in the buying process. An aligned Marketing and Sales system will allow a bidirectional flow of information so that Sales can return to Marketing leads that aren’t yet sales-ready and require more nurturing. 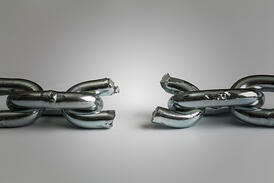 This results in leads that are ultimately better qualified and reduces the risk of customer abandonment. Aligning Sales and Marketing enables them to work together to ensure Marketing send only the most valuable leads and that Sales fully address them all so that none get wasted. This saves on time and resources previously wasted on dead-end leads, thereby increasing efficiency and ultimately revenue. To sum up, alignment between sales and marketing will result in continual communication and feedback between the two departments, which ultimately leads to both departments performing better and more efficiently, generating significant financial benefits for your company. 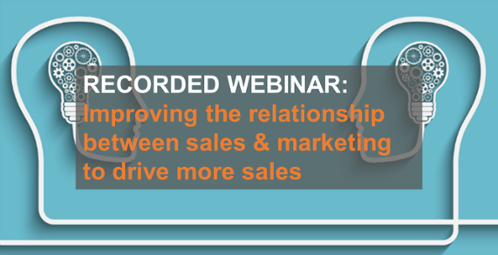 Watch our recorded Webinar: Creating a Sales and Marketing Powerhouse - Improving the relationship between Sales and Marketing to drive more sales. We were delighted that Dan Tyre Executive Director at HubSpot - Pioneer of the "Smarketing" concept joined us to deliver the keynote presentation. Dan is a regular speaker, writer, and coach to those who yearn for inbound success. His favourite topic is the importance of attitude, and he's been known to bring the house down when speaking on this topic to groups.